I woke up every day ready to experience the pleasures of Fall weather only to find out that another extremely sunny day just begun .Don't get me wrong , I always mention how much I love the Greek summer but it is not summer anymore. We are almost at the beginning of October and I still haven't been able to put on a jacket and envoy the morning breeze. The temperature is well over 30 degrees today and instead of planning my Autumn wardrobe I am currently packing my beach bag for a quick mini-trip to the beach. On the other hand I still able to envoy a few of my favorite summer pieces with slight Fall vibes this month. The though of pairing up leather and satin never really crossed my mind before but this is a pretty unpredictable season and most of the time so are my daily outfits. 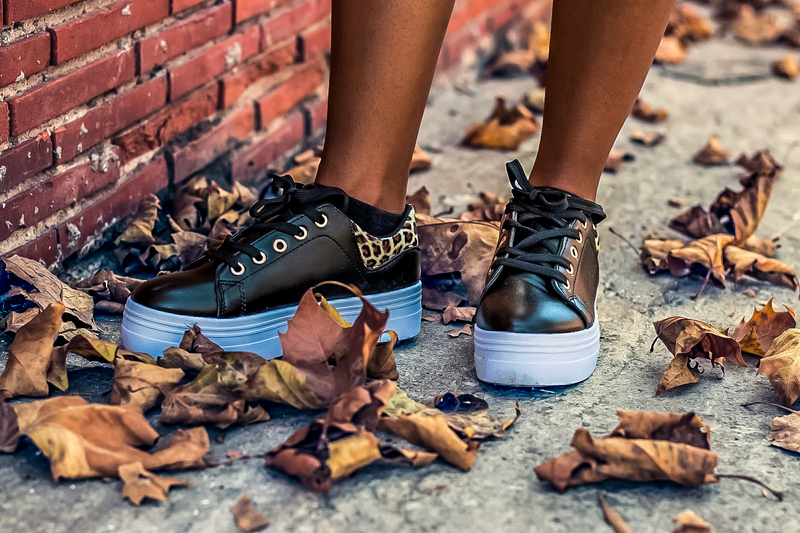 As you probably figured out by now I am completely in love with platform sneakers at the moment. Next on my must-have list for this season will definitely be these Vans platform sneakers which actually are a big trend right now.